Silber Pro Cycling is proud to announce its continued partnership with Giordana Cycling Apparel in 2017. Now in its third year, the partnership has made a significant contribution to Silber Pro Cycling's identity. It was the design team at Giordana who helped brand the team in 2015 with its now distinctive fluro-orange color scheme. In 2016, Giordana introduced Silber's popular 'Café Jersey' - a comfortable alternative team jersey designed for training. This year the design of Silber's race kit has been revised, while the Café Jersey has been redesigned and made available as either a racing jersey or in Merino wool. Silber team owner, Scott McFarlane, described the partnership: "Here's what it is like to work with Giordana: We knew they were going to partner with two World Tour teams in 2017 - an ambitious and demanding venture. Nonetheless, Bronko Glavich (Giordana Canada/Uno Imports), Sandy Nicholls (Giordana USA/Gita), and founder Giorgio Andretta himself, took the time to put us at ease by meeting with Gord Fraser and me personally to discuss our mutual goals and the technological developments in their clothing." "Ok, ok, we might have also shared a couple of stories too, that involved racing on steel bikes with 10 gears. That's the takeaway here: Giordana wants the teams and clubs they work with to feel comfortable while enjoying their knowledge of cycling and the advantages of World Tour-level technical wear. In our case, Giordana has also used its 37 years in the clothing business to leave a notable stamp on Silber Pro Cycling through their design and marketing teams. I mean, we own the orange. I want people to associate Silber's orange with the fact we are backed by Giordana: a world-class company whose "old school" values appreciate a handshake over coffee amongst people trying to help the sport grow." Giorgio Andretta of Giordana stated, "We are thrilled to be involved with Team Silber. We have always worked with teams at every level and Team Silber personifies the type of developmental team that we look to align ourselves with. Our new FormaRed-Carbon Pro (FR-C Pro) collection will make up the majority of their kit. 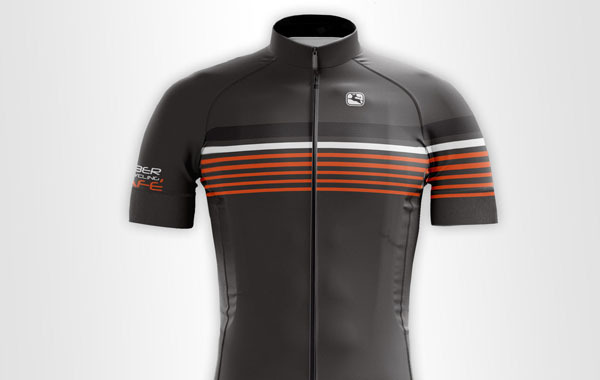 It offers a diverse range of training and racing apparel to provide through all seasons. We also will look to the team for feedback and advice in evolving new products in the future." 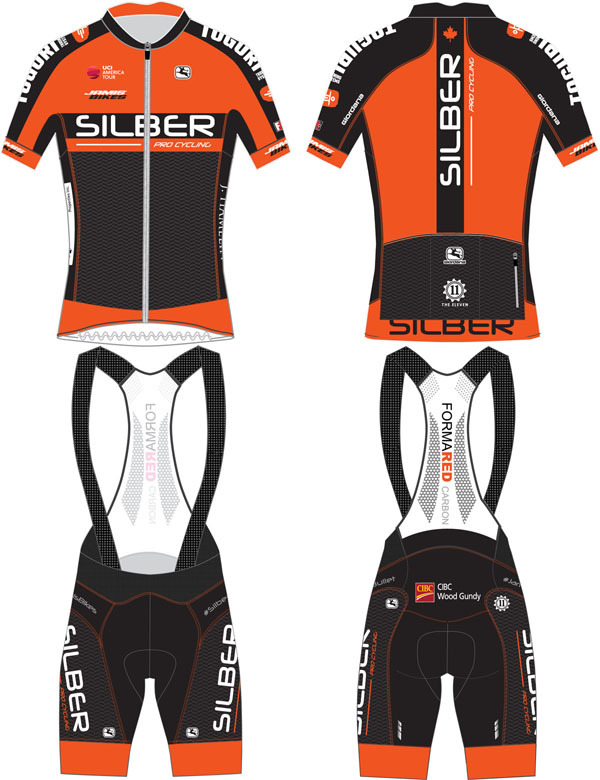 The 2017 Silber race and Café training kit(s) are available for fans to purchase at shopsilber.com - special pre-order pricing is being offered until February 28th.